The migration between kit and now the use of multiple devices tells its own story – that and my enhanced levels of digital literacies. And dependency on my Open University blog??? I am too used to starting there then cutting and pasting the HTML results into WordPress (here). This platform works because it is kept simple. OK, you have to get your head around a few basics (which are good for any blogging platform), but the thing is stable and robust – it hasn’t changed much in three years and it is always there. Either I’ll wean myself off it or I’ll plugin to another module of course and be here for another decade. You get used to a thing – especially when it works. Calls to other institutions regarding their VLE have left me cold – some still old school box of books and turn up for an all day Saturday face-to-face once a month as your only tutor and peer group contact. From a clapped out Mac Book that died and a Psion I moved on to a borrowed PC laptop … and scrounging computer access around the home. Only recently I got a Mac Mini – for the previous 18 months I’ve been fine on an iPad with moments on my wife’s PC to view and print off DOCX. The Mac Mini gets what ever screen my teenage son leaves me with – he tends to snaffle away any new screen I get, just swaps them over. I may take me days to realise something is afoot. And then there is the above – projected onto a wall with me working on a wifi keyboard and touchpad. It changes things. Next to this screen there is a large whiteboard. I get up and doodle. As for the sitting room? Long gone. Cries for a TV to bring the family together fall on deaf ears. Why would any of us gather to watch ONE version of an event when we can each take or leave our news, or films, or anything else as we please on a bigger or smaller screen in various other rooms and cubby-holes around the house? An iPad mini will replicate when I had a decade ago with a Psion, something handheld, light and discrete that I can tap on whenever I wish and wherever I am. 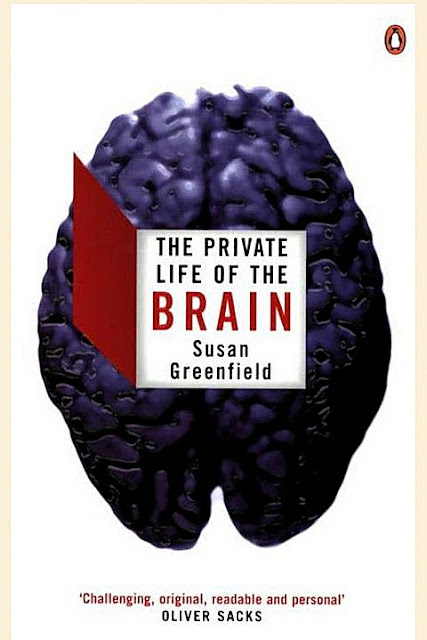 ‘The Private Life of the Brain’ Susan Greenfield is my current highly recommended read. It is certain to take you off on a tangent from whatever you are studying, but if offers a layperson’s view of the inner workings of the brain. Web 1.0, Web 2.0, Web 3.0 – The way it was, the way it is, the way it will be. March 18, 2013 6:50 am / 4 Comments on Web 1.0, Web 2.0, Web 3.0 – The way it was, the way it is, the way it will be. Web 3.0 The data takes over – construction and reconstructing itself to form unique and original combinations, even coming up with new ideas? This is doodled on the back of a handout from the Web Science Doctoral Training Centre, University of Southampton where I had spent the afternoon on 6th February. Serendipity really – the long train journey in and back and the iPad had run out of juice obliging me to do some reading. In any case, pen on paper is often the best place to express thoughts, to ‘get them out there’ in a scamp or draft form. A thorough introduction to the platform and tools as a common 16 hours to all modules. An afternoon, face-to-face tutorial? Through OU Students regionally if not with your tutor. Perhaps through Alumni support groups in Google Hang outs or some such? This may sound like anathema to the online, distance learning purists, but I wonder if the OU will have to ‘turn itself inside out’ and have undergrads on campus – not just postgrad doctoral students. As ‘traditional’ universities offer everything the OU and a handful of other distance learning specialists around the world used to have as ‘unique selling points’ they will be able to offer it all: e-learning support for resident students, e-learning for distance learners and blended learning for everyone in between. Turn the Michael Young building into the OU’s first Hall of residence. If I go into academia I will want to teach even if my ‘job’ is research. I can think of no better way, intellectually, to master (literally) my art and subject than by supporting others. Knowing some star ‘educators’ in other institutions I wonder if tutors would gain also from greater contact. The weekly tutorial (at a price) is feasible through Google Hangouts. H809, understandably is a module to take once you have several modules under your belt, however, H809 light, say these first couple of weeks, might be an invaluable, even open and free ‘stand alone’. I would have scrutinised more closely, fewer papers had I known what I know now. These first few weeks has been applied learning – using the OU Library not simply as an exercise. Invaluable. (p.s. cats were fighting in the street. I got up to survey the aftermath and couldn’t get back to sleep. Why not catch up on H809 as a few postings from fellow students suggests I am getting a tad behind this week). Don’t get behind. The ‘tick boxes’ on the VLE ‘ladder’ are a blunt instrument. Every exercise deserves a ‘tick box’ too, though I understand why the OU wouldn’t do this – it starts to smack of primary school. It really is the case (like exercise), that a a couple of hours every day is better than trying to do it all at the weekend, or worse, abandoning it for a week/10 days because catching up is a monster. If this happens seriously think about abandoning that week – keep up with everyone else first as learning with them is better than learning alone. Isolation is a state of mind, or a behavioral issue. The sooner you learn to tip the contents of your mind out on your lap the better. Learning together is a joy. Make time to get your head into gear in the first few weeks. If you have to give it more time than the course notes suggest put in the extra hours so that you ‘get it’ otherwise you will struggle all the way through. You can’t do much about is as an EMA approaches if you’re still asking ‘but ?’ about weeks 1-3. There is no need to print anything off! Get an iPad and a Kindle. Get your digital literacy skills up to speed ASAP. Write it all down. The default button in this OU Blog is private. Use it as a learning journal, portfolio, digital notebook, aide memoire. Take the initiative. Meet online in week one. Buddy up, agree a time. Nothing beats meeting your fellow travellers. Google Hangouts work. The nuttiest one I remember was a ‘Pyjamma party’ – all above board and ‘propper’ but given the time differences some were in bed and woke up for it. I guess it requires the ‘hyper gregarious’ character in the group to do this. Most don’t blog at all … it should fit in to the regular programme. Contribute to student forums always, even use RSS feeds but get used to putting the next activity first otherwise you can expend too much of the week’s allocated hours discussing the first couple of activities. Enough is enough. Get the other activities out of the way then come back. Reading – nothing quite beats it, does it? February 12, 2013 6:18 pm / 7 Comments on Reading – nothing quite beats it, does it? Fig. 1. This week’s reading – almost. I’ve got the stack by the bed too, which includes ‘The Gutenberg Galaxy Marshall McLuhan (half way through) and ‘The Shallows’ Nicholas Carr – which I read wearing boxing gloves to resist removing the pages. 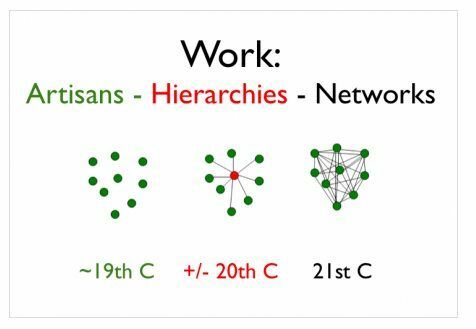 Passion at work: blogging practices of knowledge workers. The 2009 doctoral thesis of Lilia Efimova – who, naturally, has a wonderful blog. Spaced education improves the retention of clinical knowledge by medical students: a randomised controlled trial. (2009) B Price Kerfoot, William deWolf, Barbara Masser, Paul Church and Daniel Federman – try QStream to get a flavour of this, then read a dozen papers from Dr Kerfoot. The Music of Business (2013) – Peter Cook. Business with rock playing. He’s an Open University Business School MBA Alumnus, former Tutor on ‘Creativity, Innovation and Change’ a module I did early in 2012. Should be fun. In Search of Memory : the emergence of a New Science of Mind (2006) Eric Kandel. I may not be about to study neuroscience of psychology but this may help get my head in the right intellectual space. Delete : The virtue of forgetting in the digital age (2009) Viktor Mayer-Schonberger. Of the Oxford Internet Institute. On my second read as my interest is in memory and what I consider to be an infinite capacity to learn and gain more knowledge. I know it’s just a film but I do rather think that if we could live forever our minds wouldn’t let us down (Groundhog Day). Using Computer-based Text Analysis to Integrate Qualitative and Quantitative Methods in Research on Collaborative Learning. (2010) Wegerif and Mercer. As part of the module H809. Already read, reviewed, dissected and taken notes. A map to get to the University of Southampton Highfield campus from Southampton Central Station. Your Research PhD (2005) Nicholas Walliman – I’m sure I’ve read more of this than the Kindle suggests, though it must just be very long. Authoring a PhD: how to plan draft, write and finish a doctoral thesis or dissertation. (2003) Patrick Dunleavy. I’m following the instructions to the letter. From these two books I’ve drawn up a ‘plan’ on a sheet of A1 paper. I need a bigger sheet, so I’ll double these up or use wallpaper backing paper to plot the detail. I’ve got my head around RefWorks and have a healthy collection of papers to read, usually picking of a couple each day. H809 Practice-based Research in Educational Technology. Only week 2. This is making me approach anything I read with enormous care. Courtesy of Google it doesn’t take long to track down the authors – I like to know what they have written since simply to get a perspective on where their career has gone or is going. Not the guide that is recommended to judge a paper but when faced with a list of potential papers on the same topic I hope I pick out the authority based on institution and their CV. Evidence for Delayed Parafoveal-on-Foveal Effects From Word n2 in Reading (2012) Sarah Risse and Reinhold Kliegl – A remarkable read, even if it takes a microscope to a piece of text and how we read. Fascinating. The spoken word is crucial to understanding. February 10, 2013 12:59 pm / 2 Comments on The spoken word is crucial to understanding. Fig.1. Meeting face to face to talk about e-learning – sometimes a webinar wont’t do, though more often you have no choice. Conversation plays a crucial element of socialised learning. Courtesy of a Google Hangout we can record and share such interactions such as in this conversation on and around ‘personal knowledge management’. Here we can both see and hear why the spoken word is so important. Trying to understand the historical nature of this, how and when the written word, or other symbols began to impinge on the spoken word requires investigating the earliest forms of the written word and trying to extrapolate the evidence of this important oral tradition, the impact it had on society and the transition that occurred, after all, it is this transition that fascinates us today as we embrace the Internet. Humans have been around for between 100,000 and 200,000 years. (Encyclopedia Britannica). There are pigments and cave painting have been found that are 350,000 years old. (Barham 2013), while here are cave paintings as old as 40,000 years (New Scientist). Stone Age man’s first forays into art were taking place at the same time as the development of more efficient hunting equipment, including tools that combined both wooden handles and stone implements. (BBC, 2012). Art and technology therefore go hand in hand – implying that the new tools of the Internet will spawn flourishing new wave of creation, which I believe to be the case. This era will be as remarkable for the development of the Web into every aspect of our lives as it will be for a epoch identifying renaissance – a new way of seeing things. We’ve been seeking ways to communicate beyond the transience of the spoken word for millennia. McLuhan takes us to the spoken word memorised in song and poetry (Lord, 1960 p. 3) while a contemporary writer, Viktor Mayer-Schonbeger, (2009. p. 25) also talks about how rhyme and meter facilitated remembering. McLuhan draws on 1950s scholarship on Shakespeare and asks us to understand that Lear tells us of shifting political views in the Tudor era as a consequence of a burgeoning mechanical age and the growth of print publishing. (Cruttwell, 1955) McLuhan suggests that the left-wing Machiavellianism in Lear who submits to ‘a darker purpose’ to subdivide of his kingdom is indicative of how society say itself developing at a time of change in Tudor times. Was Shakespeare clairvoyant? Did audiences hang on his words as other generations harken the thoughts of H G Wells and Karl Popper, perhaps as we do with the likes Alan de Bouton and Malcolm Gladwell? ‘The Word as spoken or sung, together with a visual image of the speaker or singer, has meanwhile been regaining its hold through electrical engineering’.xii. Wrote Prof. Harry Levin to the preface of The Singer of Tales. Was a revolution caused by the development of and use of the phonetic alphabet? Or from the use of barter to the use of money? Was the ‘technological revolution’ of which McLuhan speaks quoting Peter Drucker, the product of a change in society or did society change because of the ‘technological revolution’? (Drucker, 1961) Was it ever a revolution? We need to be careful in our choice of words – a development in the way cave paintings are done may be called a ‘revolution’ but something that took thousands of years to come about is hardly that. Similarly periods in modern history are rarely so revolutionary when we stand back and plot the diffusion of an innovation (Rogers, 2005) which Rogers defines as “an idea, practice, or object that is perceived as new by an individual or other unit of adoption. (Rogers, 2005. p. 12). 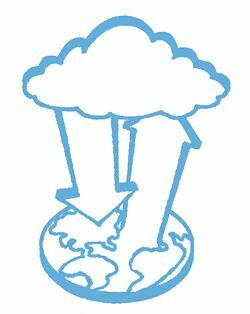 To my thinking, ‘diffusion’ appears to be a better way to consider what has been occurring over the last few decades in relation to ‘technology enhanced communications’, the Internet and the World Wide Web. But to my ears ‘diffusion’ sounds like ‘transfusion’ or ‘infusion’ – something that melts into the fabric of our existence. If we think of society as a complex tapestry of interwoven systems then the Web is a phenomenon that has been absorbed into what already exists – this sounds like an evolving process rather than any revolution. In context of course, this is a ‘revolution’ that is only apparent as such by those who have lived through the change; just as baby boomers grew up with television and may not relate to the perspective that McLuhan gives it and those born in the last decade or so take mobile phones and the Internet as part of their reality with no sense of what came before. Clay tablets, papyri and the printing press evolved. We are often surprised at just how long the transition took. To use socio-political terms that evoke conflict and battle is a mistake. Neither the printing press, nor radio, nor television, nor the Internet have been ‘revolutions’ with events to spark them akin to the storming of the Bastille in 1789 or the February Revolution in Russia in 1917 – they have been evolutionary. Individualism requires definition. Did it come with the universal adult suffrage? Was it bestowed on people, or is it a personality trait? Are we not all at some point alone and individual, as well as part of a family, community or wider culture and society? We are surely both a part and part of humanity at the same time? Edward Hall (1959), tells us that ‘all man–made material things can be treated asextensions of what man once did with his body or some specialized part of his body. The Internet can therefore become and is already an extension of our minds. A diarist since 1975 I have blogged since 1999 and have put portions of the handwritten diary online too – tagging it so that it can be searched by theme and incident, often charting my progress through subjects as diverse as English Literature, British History, Geography, Anthropology and Remote Sensing from Space, Sports Coaching (swimming, water-polo and sailing). This aide memoire has a new level of sophistication when I can refer to and even read text books I had to use in my teens. It is an extension of my mind as the moments I write about are from my personal experience – there is already a record in my mind. What is the Internet doing to society? What role has it played in the ‘Arab Spring’? McLuhan considered the work of Karl Popper on the detribalization of Greece in the ancient world). Was an oral tradition manifesting itself in the written word the cause of conflict between Athens and Sparta? McLuhan talks of ‘the Open Society’ in the era of television the way we do with the Internet. We talked about the ‘Global Village’ in the 1980s and 1990s so what do we have now? Karl Popper developed an idea that from closed societies (1965) through speech, drum and ear we came to our open societies functioning by way of abstract relations such as exchange or co–operation. – to the entire human family into a single global tribe. or even the ‘global pocket’ when I think of how an Open University Business School MBA student described doing an MBA using an iPad and a smartphone as a ‘university in my pocket’. You join a webinar or Google Hangout and find yourself in another person’s kitchen, study or even their bed. (Enjoying one such hangout with a group of postgraduate students of the Open University’s Masters in Open and Distance Education – MAODE – we agreed for one session to treat it as a pyjama party. Odd, but representative of the age we live in – fellow students were joining from the UK, Germany, Thailand and the United Arab Emirates). I have been part of such a group with people in New Zealand and California – with people half asleep because it is either very late at night, or very early in the morning. and is now threatened with eradication by electric media. Writing fifty years ago is it not time we re-appraised McLuhan’s work and put it in context. We need to take his thesis of its pedestal. Whilst it drew attention at the time it is wrong to suggest that what he had to say in relation to the mass media (radio and TV) if even correct then, others insight in the era of the Internet. This process of creating an open society has a far broader brief and with a far finer grain today – , the TV of the sitting room viewed by a family, is now a smart device in your pocket that goes with you to the lavatory, to bed, as you commute between work and in coffee and lunch breaks. It will soon be wearable, not only always on, but always attached as goggles, glasses, ear-piece, strap or badge. If ‘technology extended senses’ McLuhan, 1965. p.8 then the technology we hold, pocket and wear today, are a prosthesis to our senses and to the manner in which the product of these senses is stored, labelled, interpreted, shared, re-lived, and reflected upon. If Mercators maps and cartography altered 16th century mentality what do Google Maps and Street View do for ours? Did the world of sound gives way to the world of vision? (McLuhan, 1965 p.19). What could we learn from anthropologists who looked at non–literate natives with literate natives, the non–literate man with the Western man. Synchronous conversation online is bringing us back to the power and value of the spoken word – even if it can be recorded, visualised with video and transcripted to form text. The power, nuance and understanding from an interchange is clear. Cruttwell, P (1955) The Shakespearean Moment (New York; Columbia) New York. Random House. Drucker, Peter F. “The technological revolution: notes on the relationship of technology, science, and culture.” Technology and Culture 2.4 (1961): 342-351. Rogers, E.E. (1962) The Diffusion of Innovations. This has gone through various forms and ought to included learning across all platforms – I get books from Amazon where the eBook doesn’t exist, I use sheets of A1 paper on a drawing board to sketch out ideas and plans, I use the iPad as a digital camera and use a digital SLR too. The difference? Even more reading and writing. Fig. 3. Earlier still. A year ago? I cannot through words share with my mother our collective memories, I cannot do a ‘mind transfusion’. Fig. 1 My parents – and a fraction of the record we have of left of them now that they are gone. My mother had a stroke. She would die within three months and after a second stroke very poor comprehension and ability to communicate will get very much worse. I cannot become an expert in care for a stroke victim overnight, but I read enough and ask questions. We find two ways ‘in’ – song and images. The images are never of people – various sparks of joyous recognition come when we are seen in the flesh and behave like children rather than adults in our 40s and 50s. I cannot through words share with my mother our collective memories, I cannot do a ‘mind transfusion’. I cannot even talk about things we did a year or ten years ago – I sense the time is irrelevant, she is as likely to recall her first doll as she is our last visit to the Royal Academy of Arts to enjoy Van Gogh’s Letters. A visit where she gently nurtured the interest of her 13 year old granddaughter, sharing insights between the letters, sketches and paintings from the point of view of an artist and art teacher and art historian, to a bright girl who liked to draw. A mouthful of the food from the Fortnum and Mason’s restaurant might have triggered her memory – we did treat her to various foods. What worked, in defiance of the medical reports that essentially said ‘there is nothing there’ was an iPad loaded with images grabbed from a number of hefty art books – 20th century art, the Van Gogh exhibition book and pictures from the Louvre. I spoke to that part of her that I might work. I challenged her as I showed the pictures to say when the letter had been written or why was Van Gogh so keen to tell his brother what he was up to. And what was the name of Van Gogh’ s brother? I got through Van Gogh and contemporary artists then moved onto the Louvre. Up comes the Mona Lisa. Perhaps had my mother been in her sixties we and she could have seen a way to perceive with this. Would a lifelog have got to this point in under 15 minutes? Might a screen of fast moving images offered in spaced-out way, with eye-tracking identify that ‘glimmer’ of recognition that would then prioritise images in the same set? Though who would know why a set was being favoured? We associate images with feelings, and people, and places, not with a set book or date or necessarily a genre of work. Fig. 2. I think in pictures. But have to communicate in words. I wonder if a stream of pictures, as Tumblrs do, is a better record of our thoughts? I think Bell has shown how we can freeze content from the digital ocean without knowing what value it will bring. Perhaps from such an iceberg or glacier, at a later date, we can mine such event sparking artifacts that call up a memory as indicated above. But this artifact is not the memory and never can be. We should applaud Bell and others for going beyond thinking about such massive data collections, the ‘world brain og H G Wells or the Memex of Vannevar Bush. How more deeply embedded is a visual memory if you crafted the drawing or painting that is the catalyst for its recall. 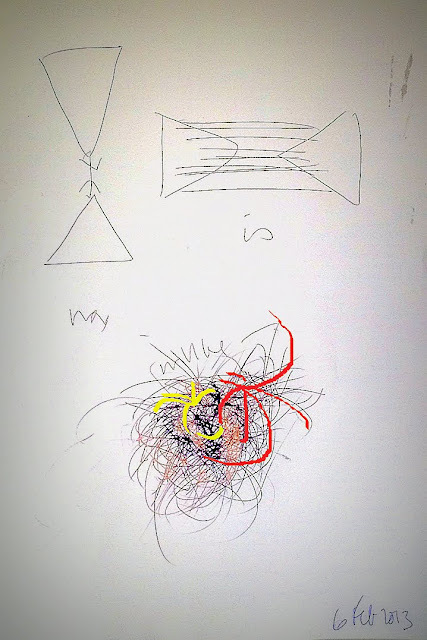 February 2, 2013 2:47 pm / 1 Comment on How more deeply embedded is a visual memory if you crafted the drawing or painting that is the catalyst for its recall. Fig.1. Hockney on iPad. Now here’s a lifelog to treasure. How does the master i-paint? If a moment is to be captured, maybe David Hockney has the answer with a iBrush painting on an iPad. This is closer to the truth of a moment, seen through the artist’s being, their psychological and physiological approach to what they both see and perceive in front of them. When we do we form a real memory of the actions required to undertake a task. We build on our initial attempts. 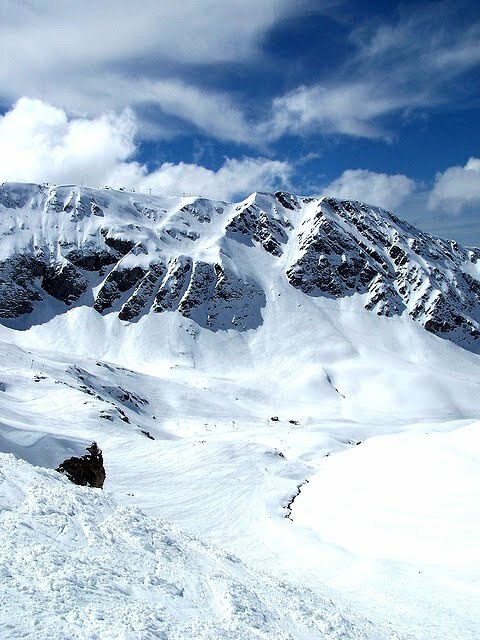 The memory to ski, to dance, to swim, to skip, to ride a bicycle, to write, to draw, to pay a musical instrument – these cannot be caught by a complex collection of digital recording devices. Perhaps if the player wore a total bodysuit as actors do to play CGI generated character then we’d have a record of the memory of this experience. It wouldn’t a digital memory make – just a record. Fig. 2. How we learn. Conceptualised in SimpleMinds while taking the Open University Masters in Open and Distance Education. Though remembering and talking through a difficult time can also offer its solution. However, these is a difference between hoarding the memory or keeping it to yourself, and letting it go. The wrong memories permanently on recall will be multiple albatrosses. Take WW1 veterans, or any war veterans, some want to tell, some went to bury. Why should people in the future feel obliged to record it all, to have more than enough to bring it back? As written language is such a recent phenomenon it is perhaps not the best or even the most natural way to remember. Going back we had the drawn image and the spoken word, but never the absolute of a panoramic or 360 digital picture, but rather moment filtered through the mind and expressed at the fingertips as a painting or drawing. Fig. 3. Web 1.0 invigorated by Web 2.0 into a water-cycle of, appropriately, clouds. Weather systems and water courses, urban run–off and transpiration. Here the flotsam and jetsam of web content, the good, the bad, the ugly and ridiculous, the massive, the moving, the invaluable as well as the ephemera, is agitated, mixed–up and circulated, viewed, pinched, reborn, mashed up, bashed up or left to atrophy – but it is in the mix and open for business. Find it and the thought, or image, or sound bite, the message, the idea is yours to dwell upon and utilise. It is education, revelation and knowledge of a new order. Expect more of the same and the unexpected.